The Remote Control is currently an option on four of our solid fuel stoves and doesn’t require mains power, as it is battery operated by a 9V and 4 x AA batteries (supplied). The handset is the size of a small TV remote and controls the amount of air entering the stove, allowing you to easily adjust the flames and heat from the comfort of your sofa or favourite armchair. Both our Kirkdale and Whitby gas stoves also have the option of remote control. 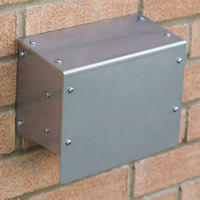 The air intake is positioned on the outside wall of your home where it is cool, away from the heat of the stove. It is possible to adjust the air intake anywhere between closed and fully open. The remote sensor is a small, unobtrusive black box which can be positioned near the stove. 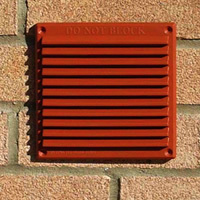 If the stoves are installed with the outside airvent then a louvered air vent cover is supplied.